Product #22014 | SKU AH-LEDLAMP-SX | 0.0 (no ratings yet) Thanks for your rating! The LED Lamp from Allen & Heath is an 18" LED lamp that is powered by connecting it to a 4-pin XLR connector. It features a straight neck with a dimmer control. This unit is designed to illuminate the control panel of consoles and mixers. It is compatible with all ML, PA, GL4000, and MixWizard products. The lamp uses a cool white LED light that produces less heat and consumes less energy than a normal filament lamp. 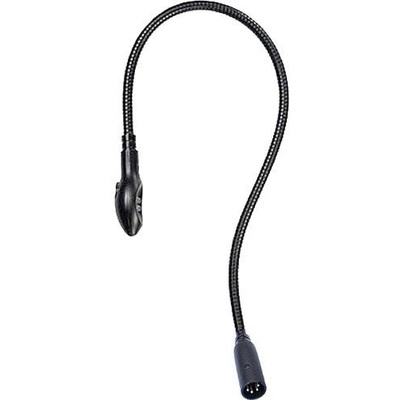 Connect this lamp to any equipment with a 4-pin XLR connector to illuminate the face of your console or mixer. Its cool white LED light produces less heat and consumes less energy than a traditional bulb.